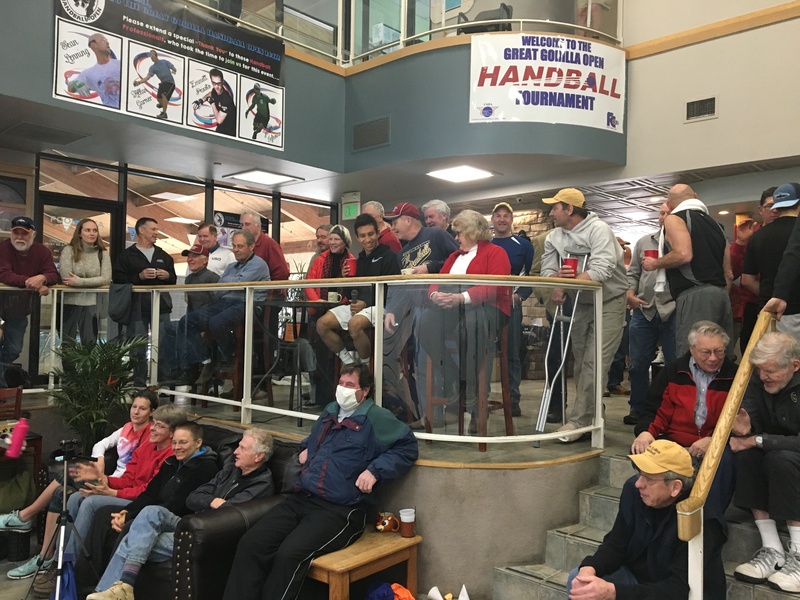 Ft. Collins, CO, WPH Press, 2/5/17- The Fort Collins Handball Club proudly hosted the Great Gorilla Handball Tournament in Ft. Collins, CO, featuring WPH Race 4 Eight pros Sean Lenning, Emmett Peixoto, Jonathan Iglesias, and Ryan Pesch. 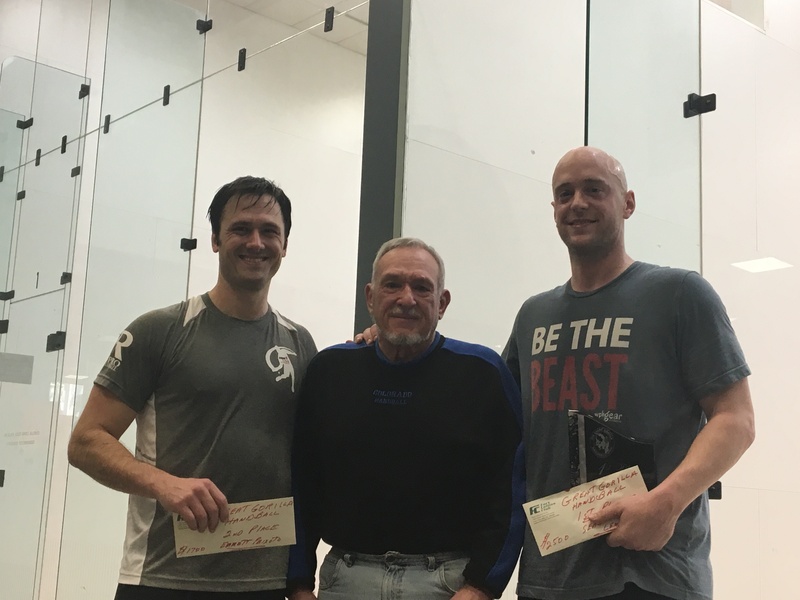 Race 4 Eight #2 pro and 5-time Race 4 Eight champion Sean Lenning entered the Great Gorilla Handball Tournament as the three-time defending champion and proved why he has been unbeatable in Ft. Collins his semifinal clash with Race 4 Eight newcomer Ryan Pesch. Lenning never allowed “DePesch Mode” to generate any traction in game one, pouncing on the R48 rookie with an unstoppable offensive attack. Pesch mounted some momentum in game two, but Lenning was too strong, advancing to the final in two games. Peixoto faced longtime rival and local favorite Jonathan Iglesias in the bottom bracket semifinal. The pair staged a classic at the 2016 Simple Green U.S. Open in October, with “The Rock” prevailing in a thrilling 11-8 tiebreaker. The match at the Great Gorilla Handball Tournament was similar, with a number of 15+ shot rallies and a spirited second-game comeback from “Churches” in game two. Trailing by a game and 20-11 in game two, Iglesias reeled of seven consecutive points to grab Peixoto’s attention, but ultimately fell short, as Peixoto advanced to the final. 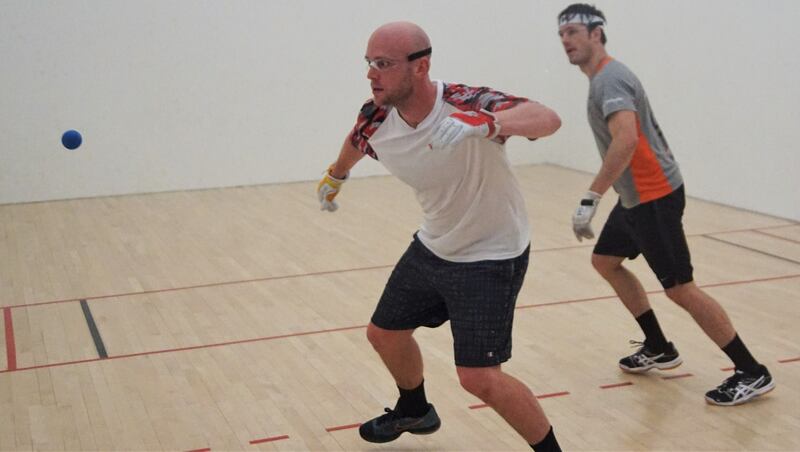 The final was all one-way traffic, as Lenning continued the momentum from his semifinal win in the final. Lenning dominated play with a nearly untouchable serve and first-strike rollouts, leaving Peixoto off-balance and unable to apply pressure. “I could barely return most of Sean’s serves and the ones I did return were weak returns,” stated Peixoto. “His right arm was on fire. When he (Lenning)) would get into serve he would crack out a few, ace it down the walls, or just hit nearly irretrievable serves, making it very hard to get him into a rally. He would go on streaks of 7 or 8 to my streaks of 2 or 4.” Lenning made it three-straight titles in Ft. Collins and appears to be prepared to make a run for #1 in the second half of the Race 4 Eight 6 season. Thank you to WPH reporter/Race 4 Eight pro Emmett “The Rock” Peixoto for the updates, commentary, and pictures. Wow!